2012 Range Rover Sport Autobiography Edition wrapped in satin black, gloss black wheels, red calipers, black painted accents/grill and exhaust tips done in heat resistant gloss black. 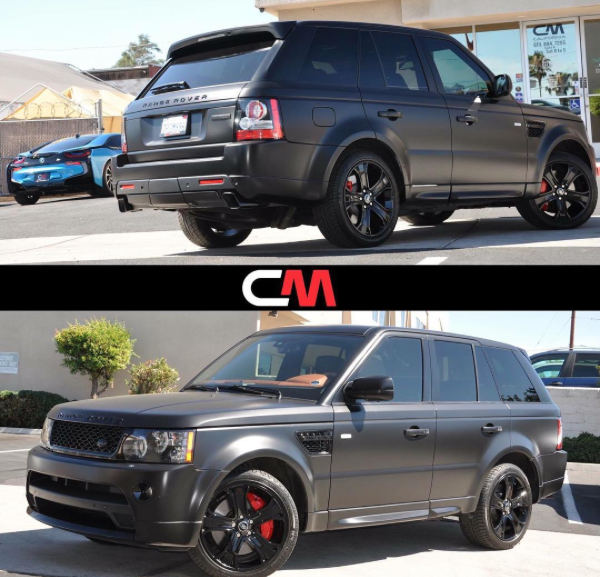 California Motorsports > Car-Customization > 2012 Range Rover Sport Autobiography Edition wrapped in satin black, gloss black wheels, red calipers, black painted accents/grill and exhaust tips done in heat resistant gloss black. Call today for pricing (619) 929-7710.